The importance of Wind Turbine Roof Ventilators often referred to as Whirlybird Roof Ventilators is very underestimated in South Africa. Many homeowners are of the opinion that the benefits of Wind Turbine roof ventilation are only for summer. Unfortunately, this is not the case, in fact, the winter and summer benefits are equally important. The ideal application includes installing roof ventilation units with roof insulation. Homes that have been correctly insulated with Roof Insulation are ideal candidates for extraction units. As a result, they will have even better summer indoor temperatures, and of course, the winter benefit of insulation is a no-brainer. Check out the benefits of Roof Insulation. Reduce roof space temperature on hot summer days. Remove moisture and condensation in the roof space. It helps reduce damaging moisture. Excessive moisture can build up in the attic, potentially damaging the structure and degrading the roof system. It can also lead to mold. It can help save energy. Heat build-up in that attic comes at a cost—a home’s air conditioning has to work harder to cool down the house, especially the living space below the attic. It helps prevent damage to the roof shingles. High attic heat can bake the shingle and cause them to prematurely age. In fact, most major shingle manufacturers strongly recommend proper attic ventilation on asphalt shingle installations. Removing stale air from the roof is excellent from a health point of view. However, there are many other important factors that we need to also take into account. Additionally cold moist air in winter allows cold damp air into the roof space. As a result, removing the moist air is essential. A key ingredient to creating mold or condensation in the roof is moist cold air. Wind Turbine Whirlybirds remove up to 5000m3h of cold air reducing the potential for moisture in the roof space as a result of the airflow in or out of the roof. Removing stale air is also healthier for the family and also reduces the smell of the stale damp air. Sumner Benefits: In summer the heat build up in the roof space, and temperatures can exceed 75 degrees C. As a result, the heat in the roof can damage the plastic underlay or the Sisalation foil fitted under the roof. Many homes have perished, or damages foil under the roof. As a result, homeowners will be exposed to the potential for roof leaks in the rainy season. 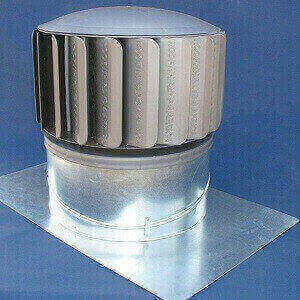 Wind Turbine Roof Ventilators will reduce the temperature in the roof by as much as 30 degrees. As a result, improving the internal temperature in the home. Winter Benefits: The facts are in the Western Cape we have long cold wet winters. Therefore the cold, moist air that is in the roof space needs to be circulated and removed. Damage from the moisture can affect the wooden trusses and batons. Additionally, the ceiling will retain some of the moisture creating a damp cold ceiling. Therefore any Roof Insulation in the Roof space is also affected by the moisture. Fortunately, most Roof Insulation materials will dry out on the first hot day. The potential for mold and condensation in the home increases substantially. Realistically Roof Ventilators like the Whirlybird should be fitted on all roofs that do not have proper roof ventilation. In fact, most homes in South Africa do not have the right roof ventilation benefits. Most homeowners are of the opinion that Whirlybirds are only for summer use. This is not the case as cold winters create harmful moisture build up in the roof. 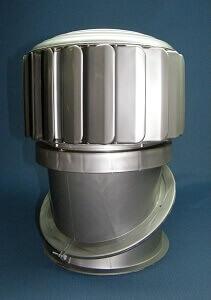 The Wind Turbine Roof Ventilators remove the moist air and circulate with fresh air continuously. Also, all new homes in South Africa must be insulated with the correct Roof Insulation for the specific province. As a result, cold, wet winters can affect the insulation by leaving moisture in the Ceiling Insulation. Well ventilated homes will not have this problem. The best way to keep a roof system working well and to help avoid the issues mentioned above is to install proper attic ventilation. Proper attic ventilation creates a balanced system using ridge vents or other exhaust vent in conjunction with intake vents installed at the eave, soffit, or fascia area of the roof. Intake ventilation is critical in ensuring the exhaust vents function properly. Without intake ventilation, most ridge or other exhaust vents can be rendered virtually useless. Exhausts hot, moist air from the attic by way of the ridge or other exhaust vents. This hot, moist air can cause a whole host of issues.